A Sheriff's Deputy in Colorado Springs had a great idea for his last day of work before retirement. Instead of holding in how excited he was about retiring, Tony Scherb decided to show off his best dance moves in celebration of the big day. He chose the elevator as his stage, thinking it'd be hidden from his co-workers and their potentially judgemental looks. Maintenance had just installed a security camera on the ceiling of that elevator to help monitor recent issues. When those doors shut and this deputy sheriff cranks his music up, well... let's just say that he won't be retiring from dancing anytime soon. 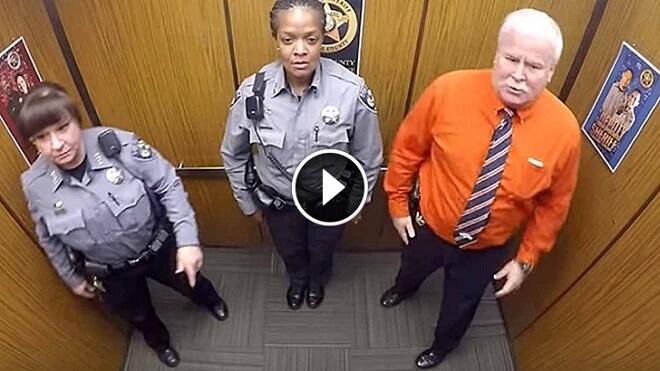 What This Cop Did When The Cameras Weren't Rolling Is UNBELIEVABLE!